One of the top Los Angeles Child Modeling Agencies since 2001. 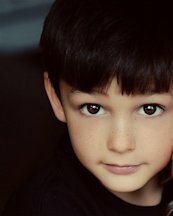 We are a top destination for clients looking for Los Angeles child models. 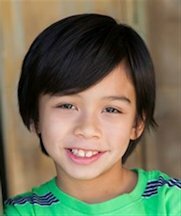 Among the top Los Angeles child modeling agents, D2 Models has a history of helping clients with print, commercial, and theatrical projects. Our service includes making sure that parents and managers of the babies, children, and teens you hire are aware of all necessary details. When you contact us, you are contacting professionals with expertise in production and talent management. We have many baby models ready to appear in your next shoot and are always finding more. Our clients know that baby model agency can help them whenever and wherever they need it, and are only an email or phone call away. Unlike most child modeling agencies, we can also help with pregnant models and expecing mommies, so just let us know! Among our Los Angeles child models are boys and girls of all looks. We can help with any ethnicity, and can even help with Los Angeles twin models. We have had talent appear in major ad campaigns and billboards. Just let us know what you need, and if we don't have it already we can help the perfect child model. Just like using a licensed baby modeling agency protects photographers, producers, fashion clients, booking through a Los Angeles teen model agency makes productions easier. Questions come up and problems arise, so make sure that you have a reliable resource you can turn to when in need.